With the opening of such locations as Roppongi Hills and Tokyo Midtown, Roppongi continues to remake itself with great new venues for commerce, art, restaurants, bars, and shopping. Well known in Japan and abroad as a district filled with energy, Roppongi has a deserved reputation for its cosmopolitan nature and is popular with visitors from abroad, particularly at night. Built around a skyscraper office building 54 stories above ground and 238 meters in height, Roppongi Hills is an enormous commercial complex with a variety of facilities, including offices, hotels, restaurants and shopping. At the top of Roppongi Hills Mori Tower is a mixed-use cultural facility that houses the Mori Arts Center Gallery, and the outside Sky Deck provides the highest vantage point for viewing Tokyo. 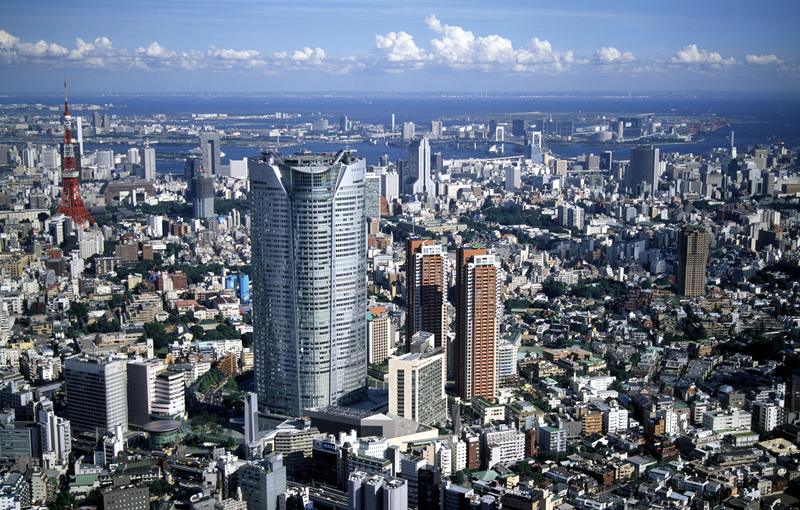 The Mori Art Museum on the 53rd floor holds a variety of exhibitions and specializes in modern art. Open until 10 p.m. (except on Tuesdays), the museum offers opportunities to appreciate art until late. 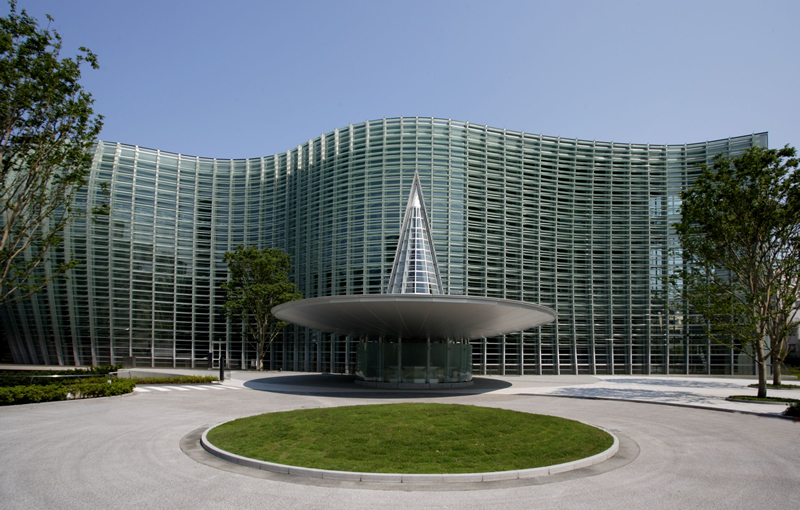 Boasting one of the largest exhibit spaces in Japan at 14,000 square meters, The National Art Center, Tokyo, is a new form of art space that owns no collections but hosts a variety of exhibits. In addition to special exhibits, the museum holds workshops and lectures. Alongside the museum are a museum gift shop, restaurants, an art library and more. The cafés and the restaurant menu offerings are updated to match each exhibit. The exterior is glass with a unique form, and when lit up on Friday nights seems mystical. 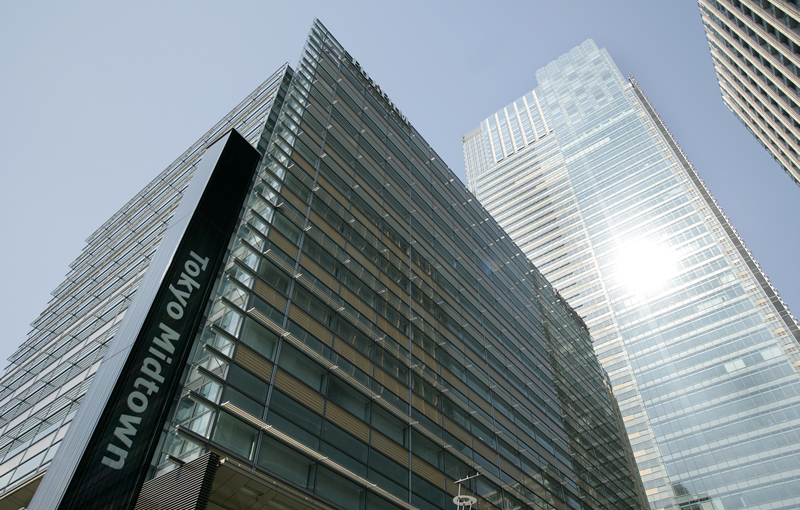 Located in a corner of Roppongi Hills, TV Asahi is in an all-glass building facing the lushly green Mori Park. There is an atrium open to the public, where there are displays and popular characters from a variety of television shows that you can take pictures of as mementos of your visit. A gift shop sells television programs and related products, and a café offers uniquely crafted confections. Diverse events are held in the multipurpose space and plaza. This space makes it easy to experience the attractions of television. 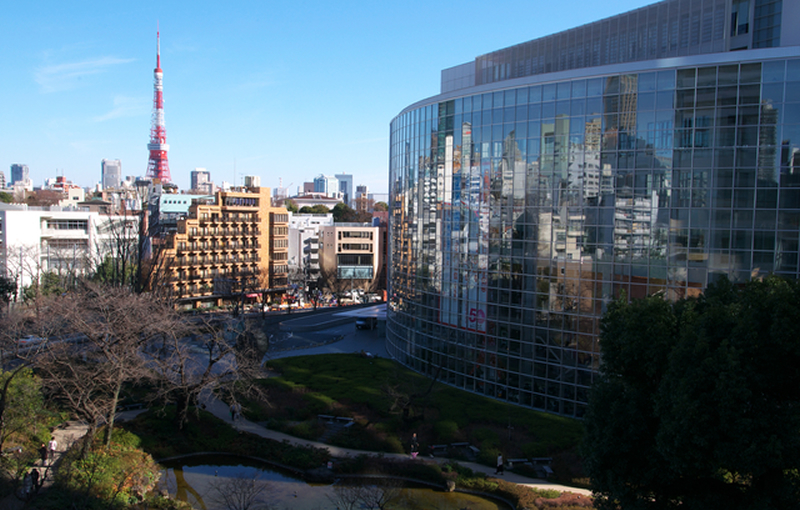 A mixed-use city with shopping, restaurants, hotels, art museums, live music venues and more, Tokyo Midtown is composed of six buildings and a greenbelt. The Galleria is an atrium with four expansive floors of shopping designed for sophisticated shoppers, along with lots of art and design facilities, including the Suntory Museum of Art. Filled with more green space and parks than you would think possible in a major urban area, Tokyo Midtown is a relaxing place with plenty of open space. In spring, there are eight different kinds of cherry blossom trees, which are particularly pleasant when lit up at night.